Life with twins is not just hectic, it’s Twinsanity! Eileen is a twin mom (just like me!) We met online and shared a lot of similiarities – both have boy/girl twins, and both share a love of all things girly! Eileen’s gorgeous twins and the inspiration for Twinsanity Designs! I just LOVE them! I can’t wait to accessorize and coordinate with my little girl! The bright colors and peacock feathers are exactly what I love (and the shades of blue will look fantastic in my pink hair!). 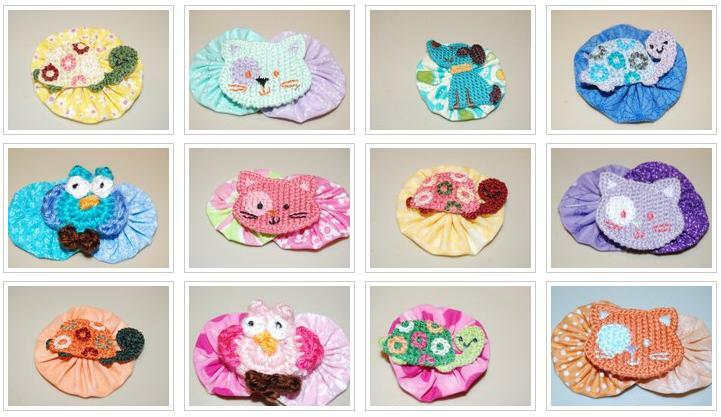 Twinsanity Designs can custom design any hair accessory (or brooch!) for you or that special little girl in your life. Or if you are thinking about a perfect gift for your BFF, sister, etc – she would LOVE a Twinsanity flower! Or if you have an outfit or dress that needs that extra touch, Twinsanity Designs can match it perfectly! All flowers can be added to a headband, clip, or pin! Here’s a bit more of Twinsanity Designs’ beautiful pieces! Visit Twinsanity Designs on Facebook to see more of the beautiful pieces offered. You can also email Eileen directly with what you are looking for. She will design the perfect accessory! One very lucky reader will win a $10 Gift Certificate to Twinsanity Designs! This can be used on anything Twinsanity Designs has to offer – including custom orders! I was not compensated for this post. All opinions and views expressed are my own.